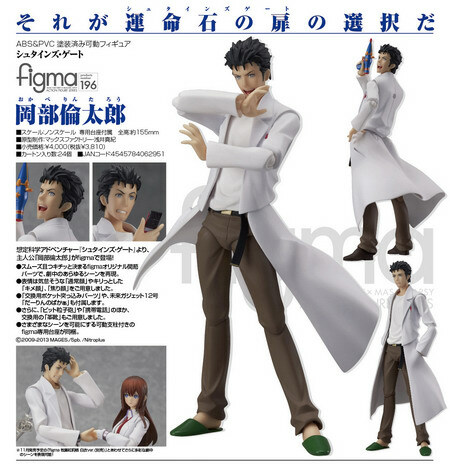 July 9th, 2013 By: GGT Category: 2013/12 release, Figure News. 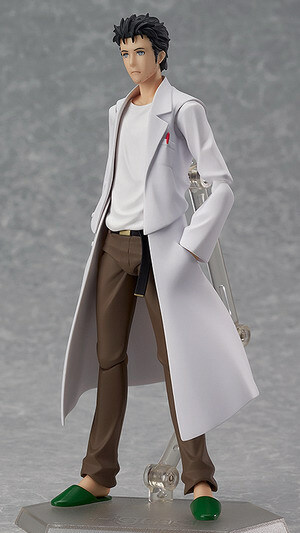 Max Factory is going to release the figma 196 Okabe Rintaro ( 岡部倫太郎 ) action figure from the visual novel/anime “Steins;Gate” (シュタインズ ゲート). Will be released in December 2013. 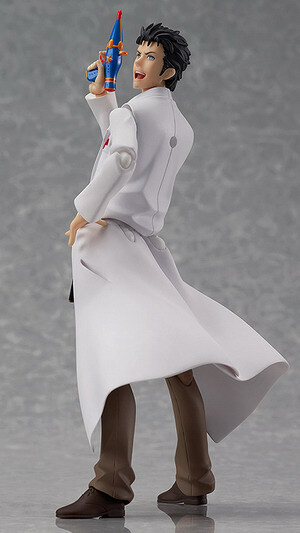 Around 155mm tall, 3,810 yen. 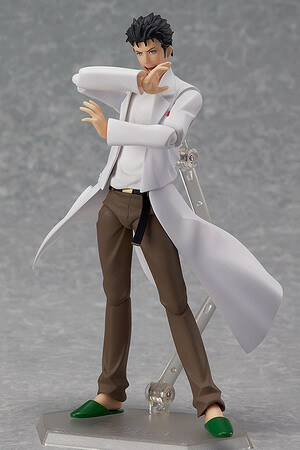 From the sci-fi adventure series “Steins;Gate” comes a figma of the main character, Rintarou Okabe! 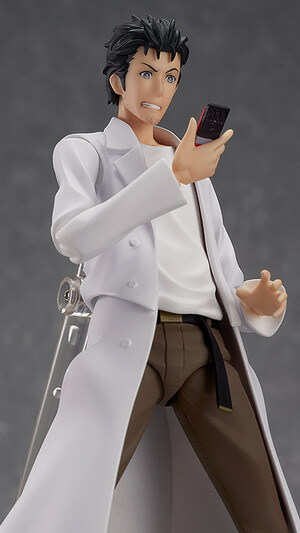 Alternate parts to display him with hands in his pockets are included, as well as the Mirai Gadget #12: ‘Darling no Baka’. 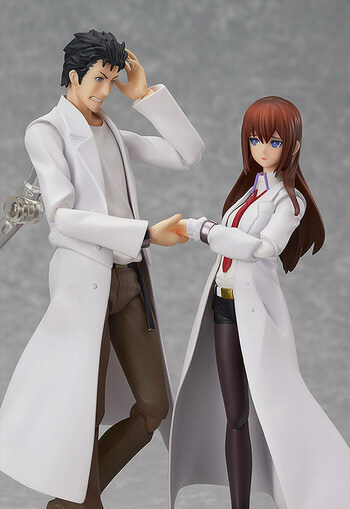 The ‘Bit Particle Cannon’ and Okabe’s cellphone are both included, as well as optional leather boots.